Moderator Brian Lashley introduces the panel – Jeremy Stephen, Donna Tull-Cox and Kim Ramsay to give their perspectives on the recent upsurge in crime in Barbados. 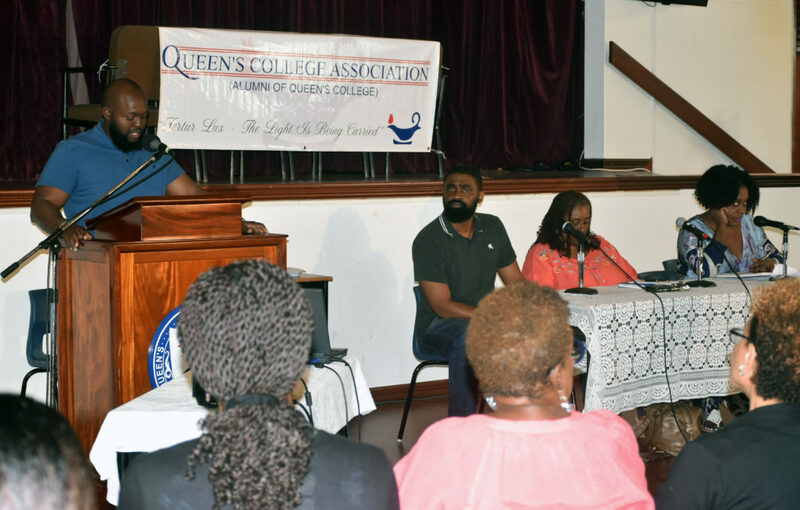 The QCA hosted the public forum in the Queen’s College Hall on February 21. 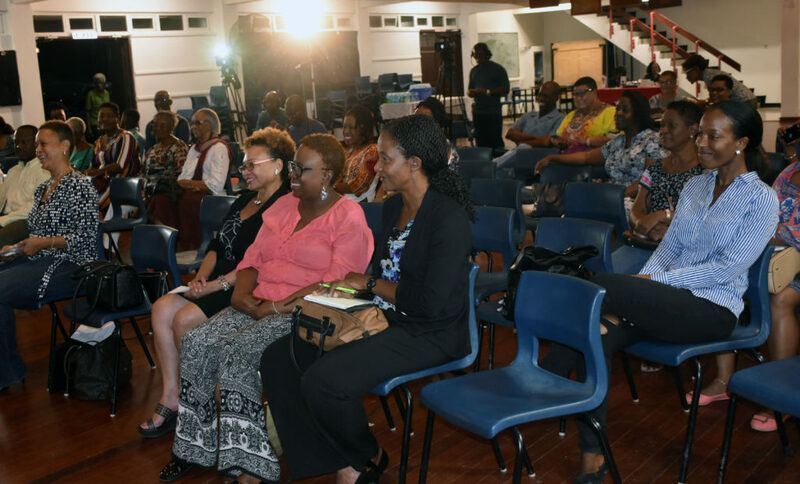 Members of the audience paying rapt attention to the discussion. 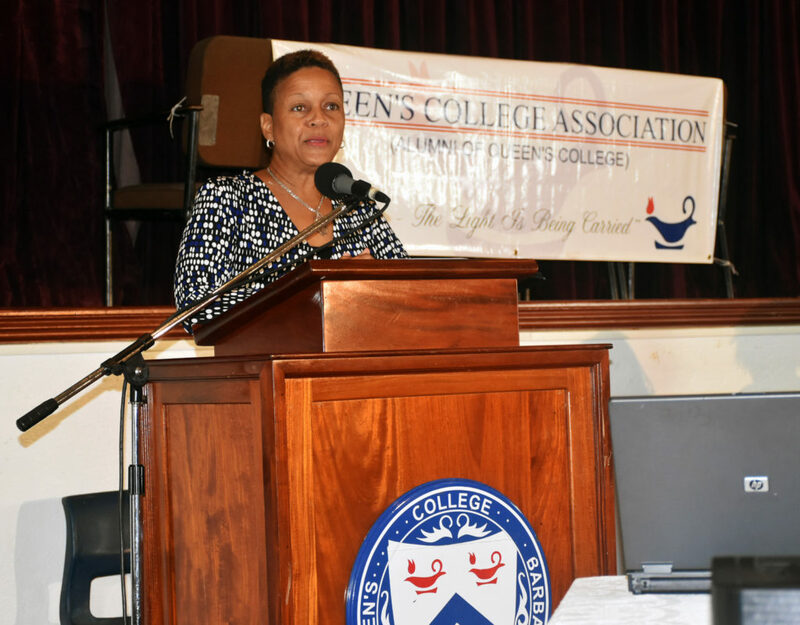 QCA President Michelle Daniel gave the welcome address. 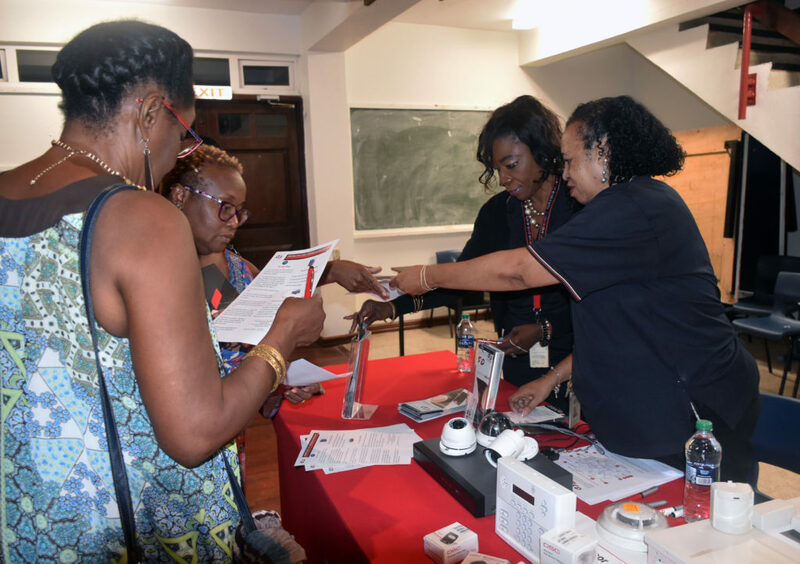 G4S Security Barbados was on hand to offer security information and household devices.